Kent Police are appealing to trace two suspects who carried out a distraction burglary at a property in St Michaels near Tenterden. 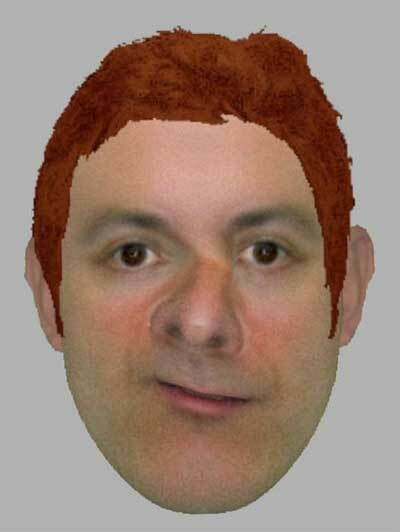 Officers have released computer generated images of the men they want to question, one of whom is described as having a distinctive face. At 8pm on 14 July, a woman aged in her 60s was at home in the Ashford Road area of St Michaels, when she heard a knock on the door and she saw two men standing outside. After gesturing for her to come outside to talk to them, they spoke with her and her husband about a piece of furniture in the garden. The victim heard a noise from inside the house and realised the second man was no longer outside with them. The first man ran away, and the victim reported that she saw the second man leaving the house. Afterwards, the victim realised a large blue handbag containing a purse with a quantity of cash, a bank card, car keys and a mobile phone was missing. The first man was described as a white man in his 20s, 5 ft 9ins tall with an average build. The victim reported he had a distinctive face with a misshapen nose, short ginger hair and was wearing a black leather jacket and blue jeans. The second man was white, aged in his 20s, 5 ft 8 ins tall, with a skinny build. He had short dark hair and was also wearing a black leather jacket. Both men had Irish accents.